GrooveJar was built to help us increase our bottom line with Wet Shave Club and many of our users are fellow subscription box owners. 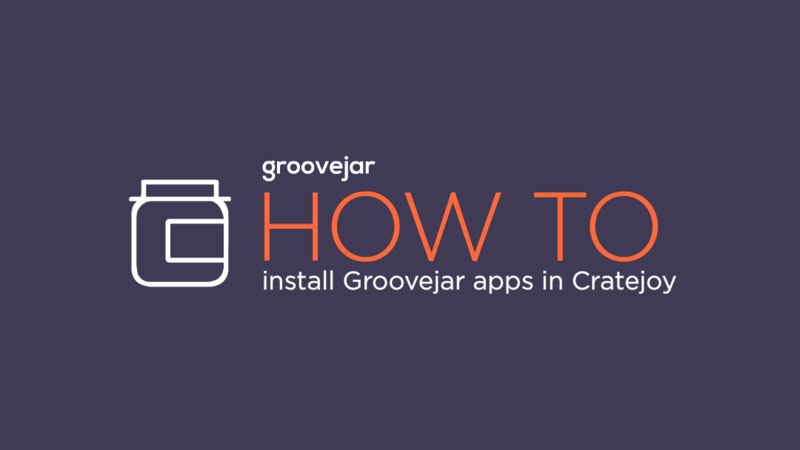 Because of this, we wanted to make sure that everyone who is thinking about using GrooveJar with Cratejoy knew how to install it. First, log into your Groove Jar Dashboard and choose your app. 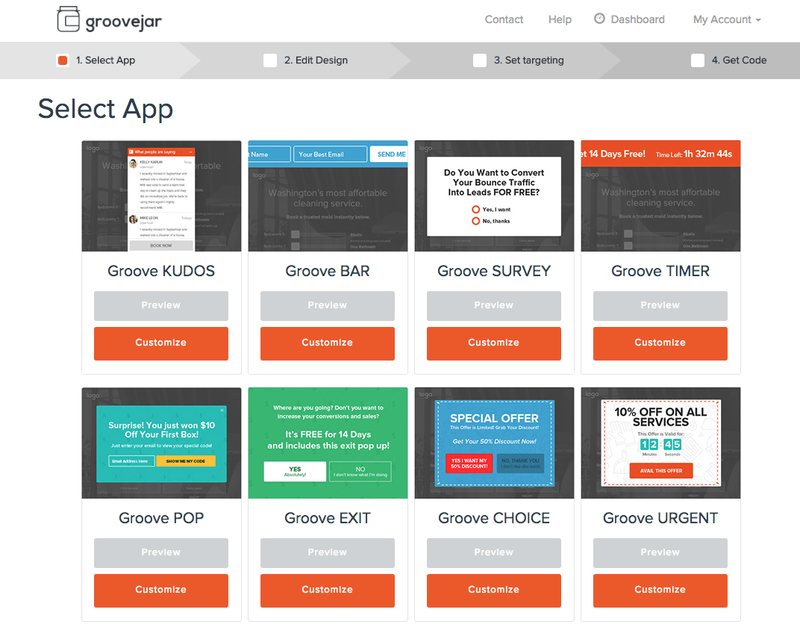 We are going to install Groove Pop exit intent pop up to use on our website. 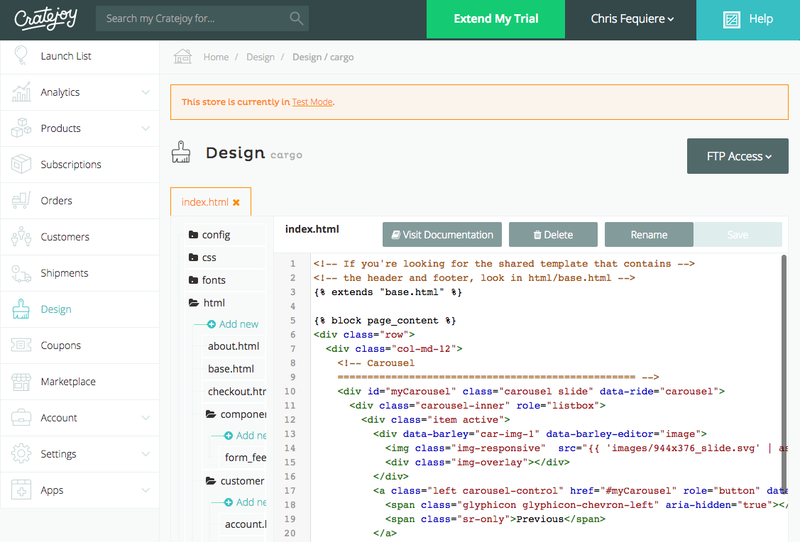 Once you choose your app, you can design how you want it to look. Press save and then grab your code. 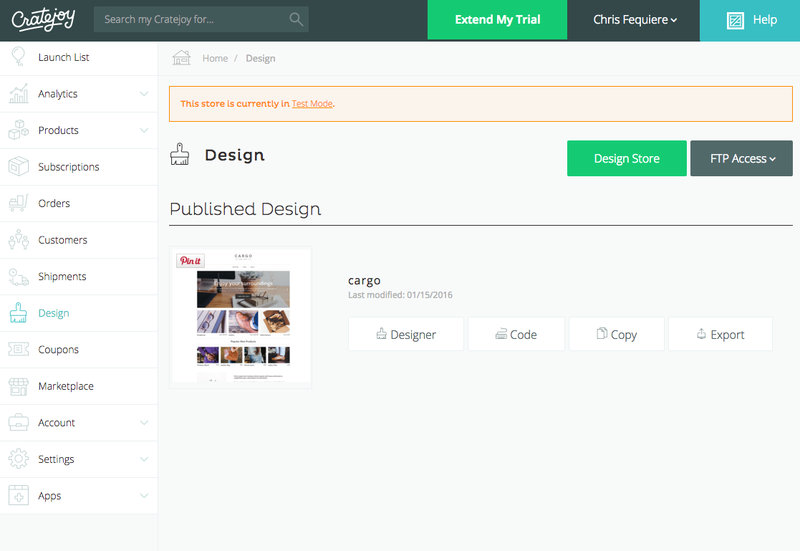 Now that you have your code copied, we are going to go the Cratejoy site that we want to place the pop up on. I log in and navigate to the appearance panel. I then scroll down and click on design. Once the design is open I click editor to open my code. I then navigate back to my Groove app page and copy my code. I then open the editor up on my Cratejoy site and paste the code between the head tags. This will install the pop up on every page on my site. If you go to your website, you can see that your new pop up works on every page. If I only want to install the pop up on one page, I go to the specific page I want to install the code. Go to the text editor and paste the code and click update. Then, when I take a look at my page the pop up is now on that specific page. If I want to go back and edit elements of my popup I don’t have to touch my code again, I can simply go back to Groove Jar and choose the app to edit its properties.